Add your custom wedding design in delightfully unexpected places using personalized ⅝” satin ribbon! 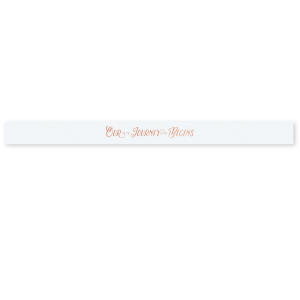 Attach wedding gift tags with this lovely ribbon or tie your personalized wedding balloons together with this luxurious ribbon. 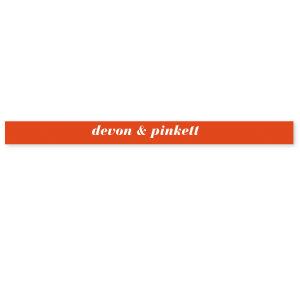 Browse dozens of colors and countless fonts and clipart to find your perfect wedding ribbon! 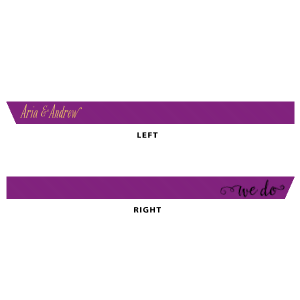 Take your wedding personalization to the next level with For Your Party’s customized wedding satin ribbon! Choose from dozens of premium ribbon colors and foil stamped designs to find the perfect 5/8 inch ribbon for your wedding favor bags, cupcake boxes, gift tags and balloons. Once you have a spool of your personalized wedding ribbon, you’ll find endless uses for it! 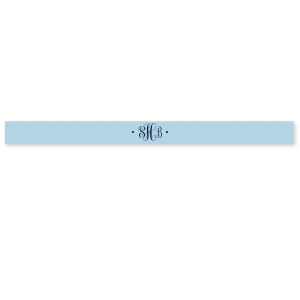 Each spool of this ⅝” wedding satin ribbon is 50 yards, and can be printed at various increments, according to your specifications. 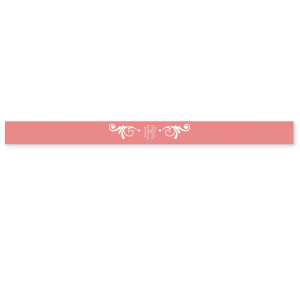 Enjoy wrapping your wedding day in this beautiful, soft wedding satin ribbon!